It’s impossible to fully understand the genius of an artist like Prince. He didn’t just transcend pop music and whatever genre radio tried to label him as, and he wasn’t just a savant who could play any instrument he picked up. The man was an honest to goodness genius when it came to writing music. One aspect of his songwriting that tends to get overlooked is his lyrical content. 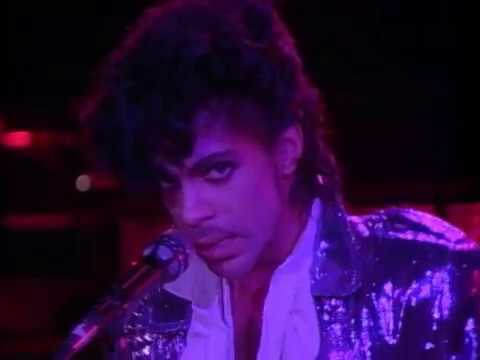 On first listen, his songs sound like they’re either about gettin’ down with a fine lady, or dancing until the sun comes up, but for each "Little Red Corvette" there was a sly philosophic undercurrent buried in another track. This list takes a look at the most meaningful Prince lyrics that can enrich your life. Once you delve into Prince’s lyrical content you begin to realize he was a man who was not only aware of his place in the world of pop music, but someone who was concerned about what it meant to love someone - and to love yourself. Some of his more androgynous lyrics paint a picture of a person transcending heteronormative roles, all the while finding spirituality on the dance floor. Take a look at these Prince lyrics that inform how you live and think about how to make yourself just a little bit more Prince today than you were yesterday. Vote up the most inspirational Prince lyrics, and if your favorite lines aren't already on the list, feel free to write them up for everyone in the comments. This is one of those great lyrics that remains prescient no matter how much time has passed since the song was released. Despite the ever changing world we live in, it never hurts to try to find something new. At least you got friends. So much of "Let's Go Crazy" can be applied to one's life that it's hard to pick one set of lyrics. But if you've got nothing else, it's important to remember that there are people out there who care about you. Nestled in this classic hit is the fear of becoming your parents, and repeating the mistakes of their past. If any song can help you steer yourself in another direction, it's this one. All double entendre aside, these are the perfect lyrics to remind yourself to stop pushing yourself so hard, and to take the night off from whatever it is that you're burning yourself out on.